It’s one thing to hear about Life Ball, the enormous charity extravaganza that takes over Vienna annually to raise support for HIV/AIDS charities, but it’s quite another to experience it first hand. The over-the-top affair, including palatial parties and star-studded spectacles, attracts all sorts of guests, from the fabulous to the fringe. 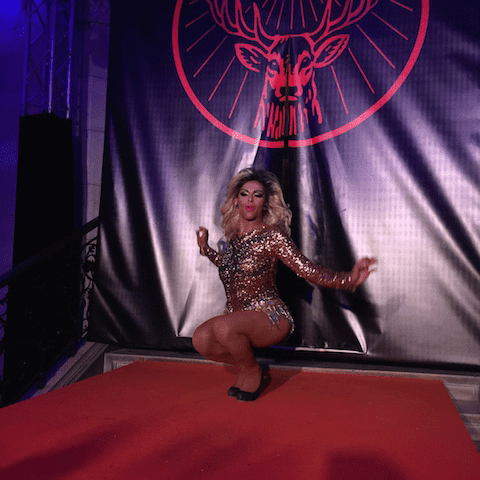 We joined a small army of media, celebrities and drag queens venturing to Vienna last weekend to witness all of the Life Ball Austrian adventure for ourselves. Although we’re still recovering from a fab 48 hours in the capital city, we’ve got plenty of highlights to share. The Life Ball experience actually started last Wednesday in New York. A “Bon Voyage” party was held at Bergdorf Goodman’s seventh floor restaurant, where waiters passed around tiny endive boats with chicken salad and glasses of white wine to guests. Mingling in the crowd were those attending the Ball (Carmen Electra, Paula Abdul and Lydia Hearst) as well as a few celebs who weren’t (Dionne Warwick and Mad Men’s Kit Williamson). RuPaul’s Drag Race season five winner Jinkx Monsoon made a grand entrance, but it was Ms. Abdul who charmed the crowd with her megawatt smile. The diminutive dancer (she is really so, so tiny) graciously posed for photos and chatted with guests through the end of the party. The Bon Voyage party ended on the early side of the evening, which was for the best, since what was ahead would demand an awful lot of energy. 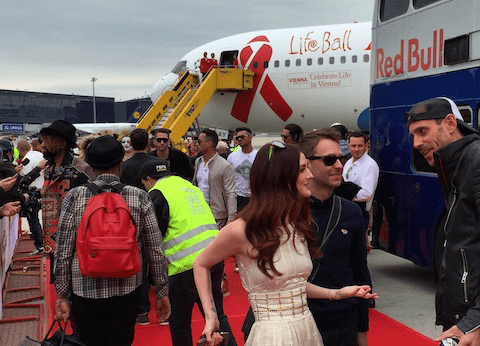 The next day the Life Ball Plane, courtesy of Austrian Airlines, took off for Vienna with a precious party cargo inside. Most of those flying had already started imbibing champagne provided at the gate, ensuring the journey would be a memorable one, to say the least. Cheers erupted throughout the cabin as the wheels lifted off the ground and, once we achieved cruising altitude, the fuselage really sprang to life. Carmen Electra twerked atop a row of seats; members of Macklemore’s crew broke out into an impromptu drum circle; pop star Ariana Grande’s brother, Frankie, flung himself in front of every camera. All the commotion even drew many of the big-name celebs out of first-class to mingle with the revelers back in steerage. About five hours into the eight hour flight, things calmed down enough for passengers to catch at least a little shuteye. Those, like myself, who woke up an hour or two later, found themselves in a very different setting. Suddenly, it was light out and everyone was hurriedly prepping for our red carpet arrival. Dina Delicious, one of the larger personalities aboard, changed into a romper covered in cherries for her Life Ball red carpet debut. Wigs and lashes flew around the cabin, as queens like BenDeLaCreme, Jinkx and Shangela got ready to serve. As the line for the restroom grew, more and more folks transformed right there in the aisles, including members of the Sisters of Perpetual Indulgence, an order of queer nuns dedicated to community service. Deplaning onto a red carpet laid out on the tarmac, the A-listers led the procession off the Life Ball plane and strutted their stuff for the waiting media. Shuttle buses and a fleet of Audis shepherded attendees to their hotels. There were several Life Ball events throughout the weekend, including the Red Ribbon Celebration opera concert Friday evening, but my next stop would be the Welcome Cocktail, thrown in cooperation with (Red) at Le Méridien. Spirits were high (and, let’s be real, spirits were also flowing) as guests celebrated their Austrian arrival. Bass lines pounded and cameras flashed, but it felt like the room froze when Austria’s own winner of last year’s Eurovision Song Contest, Conchita Wurst, entered the room. 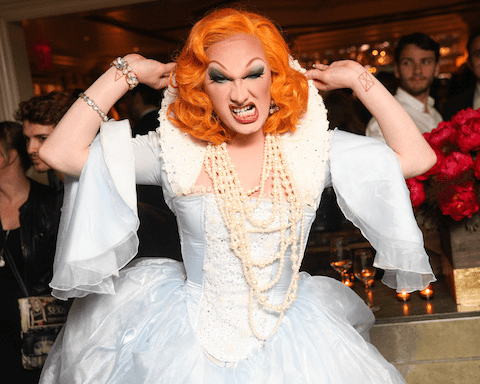 The singing drag queen is a bona fide superstar in Vienna, her image graced Life Ball posters and magazines, and her performances would be highlights of the entire weekend. Catching even a passing glimpse of her felt incredibly exciting. That was just a small taste of Wurst’s presence felt throughout the main event Saturday evening. The Life Ball Opening Ceremony alone was worth traveling halfway around the world. It was like a Super Bowl halftime show, without all the boring football. A massive stage and magenta carpet were laid out in Vienna’s City Hall Square for the show, which was free and open to the public. People lined up for hours and stood shoulder-to-shoulder to see celebrities as well as costumed guests strut their stuff in outfits that felt a little like the Grammys, a little like Mardi Gras. The show itself was a dizzying display of sights and sounds. In addition to Wurst’s multiple performances, Mary J. Blige (attending as a representative for amfAR) sang a goosebump-inducing cover of U2’s “One,” and Sophie Ellis-Bextor turned the plaza into a disco with her track “Murder On the Dancefloor.” Keeping the cause at the forefront of attendees’ minds, Sean Penn introduced a video about the Clinton Health Access Initiative from President Bill Clinton (himself a sort of Life Ball veteran, having attended in the past). Charlize Theron discussed her work with her African Outreach Project. Sentebale, an organization founded by Prince Harry of Wales (who appeared via video) and Prince Seeiso of the Lesotho Royal Family, was presented with this year’s Life Ball Crystal of Hope Award, donated by Swarovski. Sentebale helps provide education to Lesotho’s “herd boys,” who tend livestock in the country’s remote highlands, including lessons on sexual and reproductive health to understand the spread of HIV. The award comes with 100,000 euros to advance their work. The finale of the Opening Ceremony was a jaw-dropping fashion show by famed designer Jean Paul Gaultier. Paula Abdul, Dita Von Teese, Kelly Osbourne, Amanda Lepore, Lydia Hearst, Jedward and other celebs walked in the show, which led into one more final performance from Conchita. Then, the actual Ball began. That’s right, that wasn’t even the main event. Inside the Rathaus, the gorgeous Neo-Gothic City Hall, the party stretched across several stages and halls boasting DJs and performances. There was even a spa set up in the Grauer Salon. 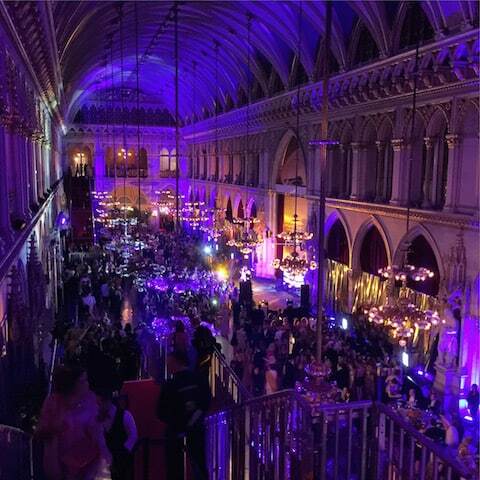 Tickets to the Ball (and the profits of every drink sold) contributed to the net proceeds of Life Ball. The Rathaus was packed with revelers decked out in the requisite formal attire or unbelievable costumes inspired by the golden theme. I had to constantly keep my eyes akimbo, lest I got stabbed by a stray gold wing or pointy headpiece. It was an unforgettable scene, with a crowd just as extravagantly outfitted as those on stage. The flight back to the U.S. was certainly more subdued after such an intense evening the night before, with even Paula Abdul’s beaming visage downgraded from exuberant to merely bubbly. It’s easy to focus on the glitz and glamour (and booze) that’s such a big part of Life Ball, but doing so misses what it does best. 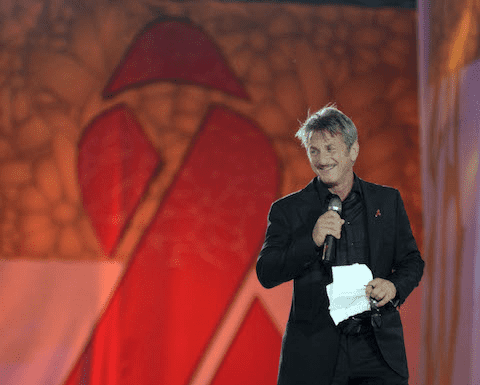 By creating a can’t-miss event, full of celebrities, outrageous visuals and expert artistry, Life Ball positions itself as a loud call to action, bringing information about HIV/AIDS to a huge audience while amplifying the work of other organizations worldwide. The theme each year may change, but the spirit of this ball will always stay golden. Learn more about Life Ball in our post about their work here.